Web hosting has become increasingly affordable over the past couple years and the newer Virtual Private Server (VPS) format for hosting has recently become accessible to all website owners in 2018. Many website owners are switching to VPS plans from shared hosting accounts to gain more control over their site's server and improve overall Search Engine Optimization (SEO) for their web projects. Read on to discover the five factors you should be examining when choosing a VPS web hosting plan to make sure you're getting the best deal for your website. Consumers expectations are increasingly hard to meet if you're using shared hosting or another older form of web hosting. VPS hosting can help you get up to speed by allowing you to configure your virtual server to ensure your website loads quickly. VPS web hosting also helps boost your site's speed by assuring a pre-determined amount of resources will be allotted to your site's visitors unlike in a shared hosting structure where dozens of websites fight for server resources during peak traffic periods. You can ensure you're getting a fast VPS web host by looking for hosting providers that advertise advanced speeds and low load times. One way VPS hosting providers accomplish this is by using Solid State Drives (SSD.) SSD-based servers can retrieve data at a much higher speed than traditional hard drives which contain inefficient moving parts. Check to see if the hosts you're considering use SSD technology. One of the most important things to look for in a VPS web host is reliability. There are several ways you can tell if a VPS host is reliable. First, check for how long the host has been in business or if they advertise that they have thousands of current customers. Next, look for a money-back guarantee or solid refund policy so you can feel confident that they know and stand behind their products and services. The best sign of reliability in a web host is a high guaranteed level of uptime. Uptime refers to the percentage of time that your website will be accessible by yourself and others on the web while it's on a host's servers. Many top-level VPS hosts offer 98 percent or higher uptime, with some even offering over 100 percent uptime. When a host offers more than 100 percent uptime it generally means they are willing to discount your next bill to compensate you for any unexpected downtime your site experiences. 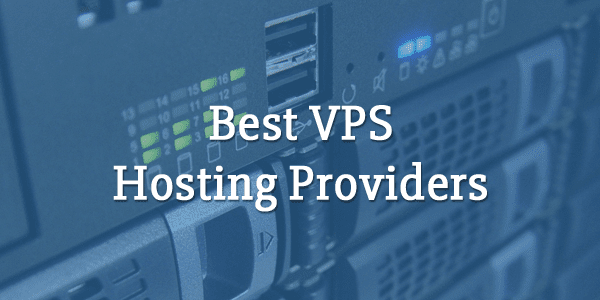 Since VPS systems often work by dedicating a specific amount of resources to your account it's easy to check the specifications and resources of any plan before signing up for hosting services. Look to see how much virtualized RAM, CPU resources, and storage space you'll be allotted with any VPS plans you're considering before making a decision. Every hosting provider differs in terms of which additional features and options they have to offer. Some hosts offer one-click CMS website setup which allows you to install WordPress, Joomla, or another Content Management System with just a few clicks of the mouse. This is convenient if you are not familiar with the process of manually installing server-side software. Other special features to look for in a VPS host include automatic website backups, easy transferring of your website from another host, 24/7 customer service support, and the societal and cost-saving benefits of green VPS website hosting technologies. While it shouldn't be the first or main consideration if you're set on optimizing your hosting environment to grow your website, pricing does matter when it comes to web hosting. It's easy to pay too much for a web hosting account but it's also possible to lose out on vital resources by trying to save money with too-economic a hosting package. You can make sure you're paying the right price for your web hosting by measuring the amount of resources your website is currently using or is expected to use in the next 12 months. Try a free online tool like Google Analytics to inspect your site's data flow if you don't already have a good estimate of your traffic, storage, RAM, and CPU needs. Look for a VPS plan that can accommodate your site's traffic on its busiest days with some room to grow going forward. By checking over these five important factors before choosing your VPS web hosting provider you will ensure you're not wasting money on a sub-par hosting service. Look for speed and bandwidth specifications or promises, plans that accommodate your site with the resources it'll likely need, and any features or benefits you think will come in handy as you build growth and traffic through your websites. Many VPS providers are priced competitively but it's still important to not over- or under-pay for the very service that keeps your website available for hundreds and thousands of potentials clients or visitors on the web.